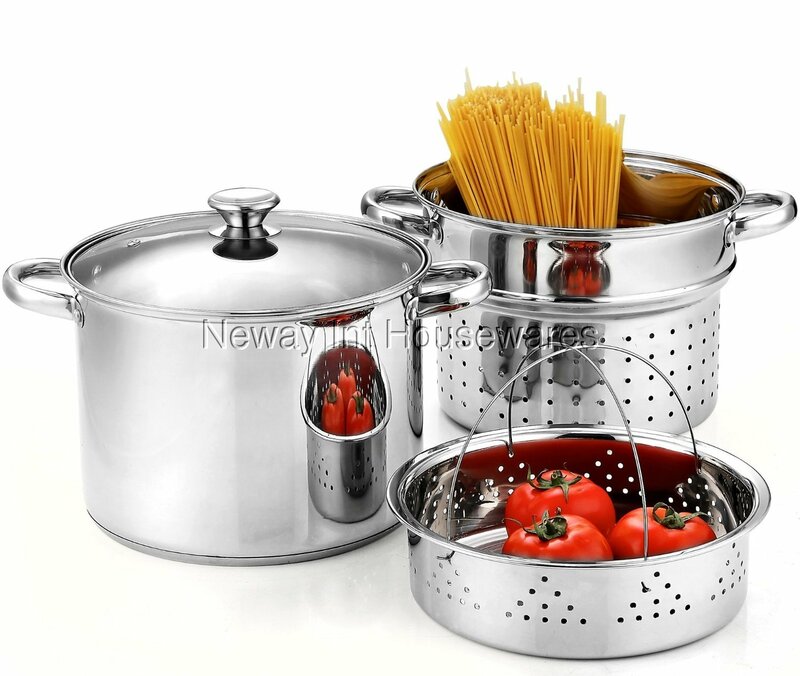 The Cook N Home 4-Piece 8 Quart Pasta Cooker Steamer Multipots, Stainless Steel includes an 8 qt stockpot, steamer insert, pasta insert, and a glass lid. Made of stainless steel with an encapsulated aluminum bottom. Riveted handles for durability and tempered glass lid to view food. Deep steamer insert can hold a large amount of vegetables, proteins, etc. Induction compatible and Dishwasher safe.